You’re looking for a neutral venue away from day-to-day business life? The Villa Marburg is the ideal retreat for gathering and focusing. 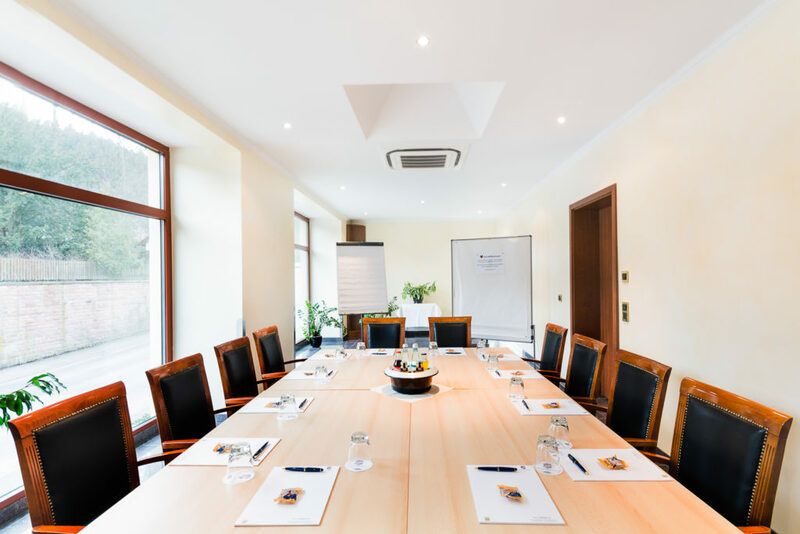 Our rooms are optimally aligned to your needs with state-of-the-art equipment – no matter whether conferences, seminars, training programs, meetings or product presentations. Our four conference rooms and our event halls are bright, friendly places of peace, which provide enough room for your events. Thanks to our professional service, relaxation during the breaks and in the evening is ensured. The participants’ culinary well-being doesn’t come up short either thanks to coffee breaks with seasonal products, varied buffets or multi-course menus. In doing so, we’re also happy to meet your specific wishes – whether menus of a certain nationality, food intolerances or specialties which result due to the religion of your conference participants – we find the right thing for each single guest. We’d be happy to create your individual offer for you. Also take advantage of our package deals including meals and overnight stay for all participants!